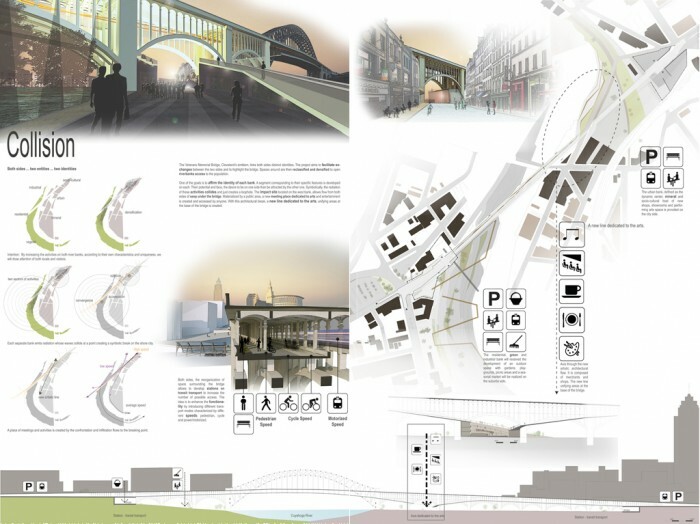 Overview: The bridge links both sides distinct identities. One, urban, defined as the dynamic center, mineral and socio-cultural, and the other, residential and vegetal. One of the goals is to affirm the identity of each bank. A segment corresponding to their specific features is developed on each. Their potential and face, the desire to be on one side than be attracted by the other one. Symbolically, the radiation of these activities collides and just creates a loophole. The impact site allows flow from both sides of seep under the bridge. Materialized by a public area, a new meeting place dedicated to arts and entertainment is created. With this architectural break, a new line dedicated to the arts, unifying areas at the base of the bridge is created. 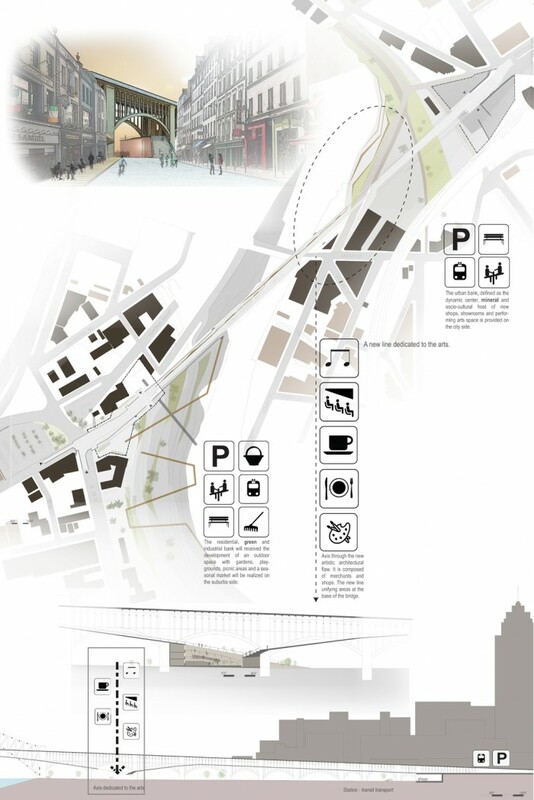 The introduction of new shops and performing arts space is provided on the city side. The development of an outdoor space with playgrounds, picnic areas and a seasonal market will be realized on the suburbs side. The reorganization of space surrounding the bridge allows to develop stations on transit transport to increase the number of possible access. 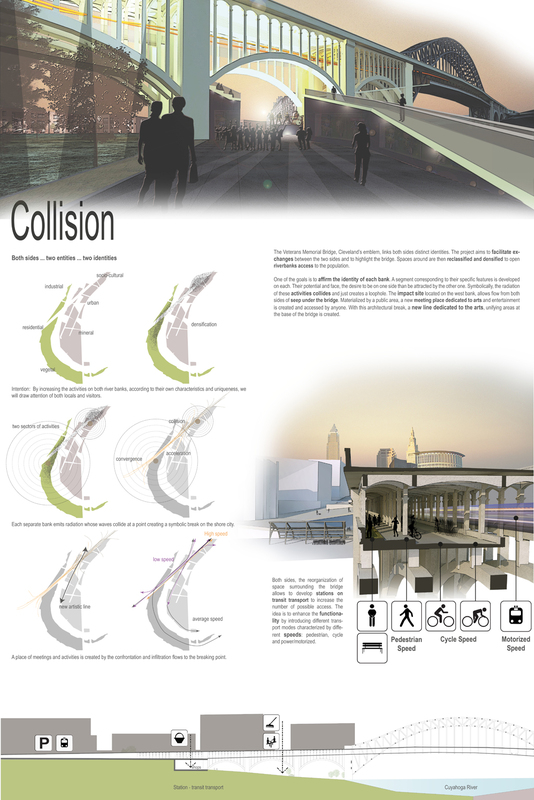 The idea is to enhance the functionality by introducing different transport modes characterized by different speeds.